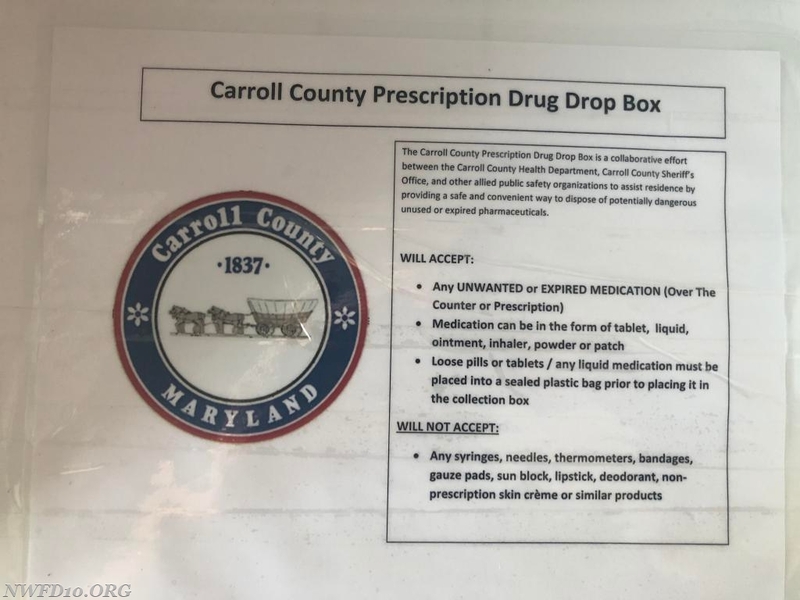 The New Windsor Fire Department in conjunction with the Carroll County Health Department and Carroll County Law Enforcement Agencies has now placed a secure drop box for disposal of prescription/unwanted/over the counter medications in the station. Any loose patches or pills must be placed in a sealed plastic bag prior to placing it in the drop box. The department will not supply sealed plastic bags, so please have you medications bagged up prior to dropping off the medication. The drop box is not for any type of syringes or needles, and we will not accept any. 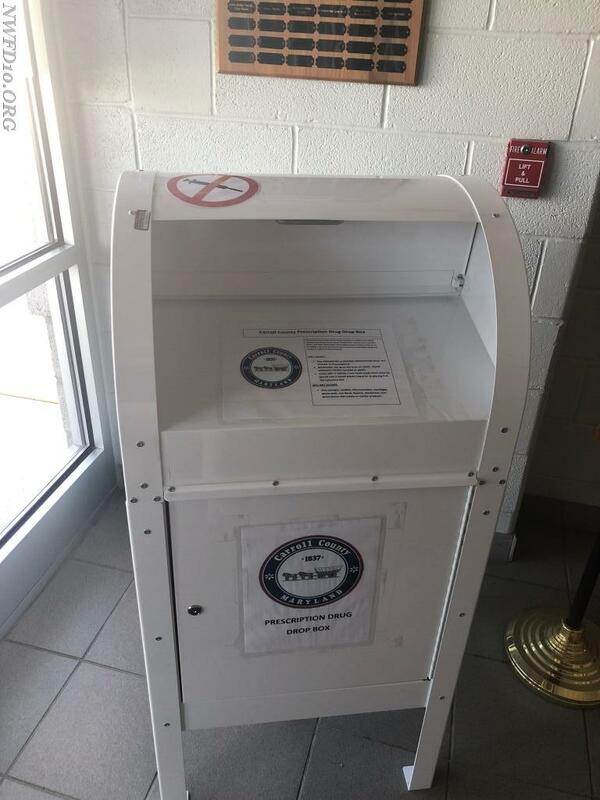 The secure drop box is located in the lobby/ watch desk area of the New Windsor Fire Department. What harm do medications do to our environment? Medications that are poured down the drain or flushed end up in out waterways and drinking water, and wastewater treatment plants cannot remove the chemicals in those medications. Medicine discarded in the trash can also leach into water supplies. Medications such as antibiotics, hormones and contraceptives, antidepressants, and pain relievers have been discovered in waterways nationwide. The risk of such chemicals in our waterways and drinking water include damage to unborn children, and dangerous mutations in wildlife.